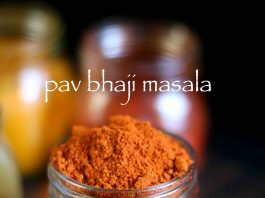 pav bhaji masala recipe | homemade pav bhaji masala powder recipe with detailed photo and video recipe. it is the blend of spice that goes in the mumbai’s famous street food pav bhaji recipe. 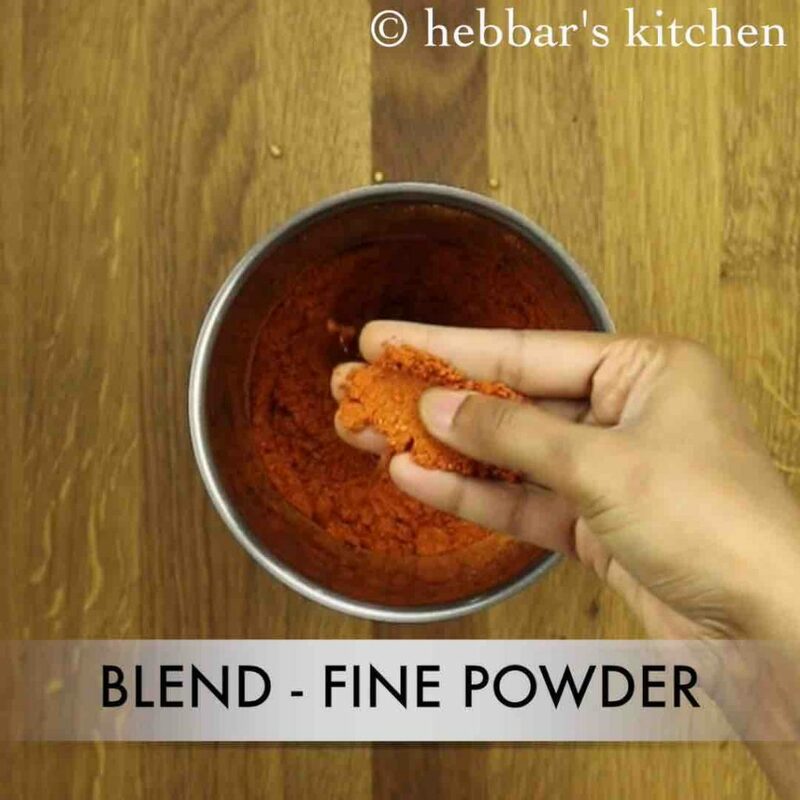 in other words, this spice mix is added to the mashed vegetable mix which lifts the aroma and taste of the bhaji recipe. with the same spice mix, 2 variations of pav bhaji can be prepared i.e street style pav bhaji recipe and pav bhaji in cooker. pav bhaji masala recipe | homemade pav bhaji masala powder recipe with step by step photo and video recipe. 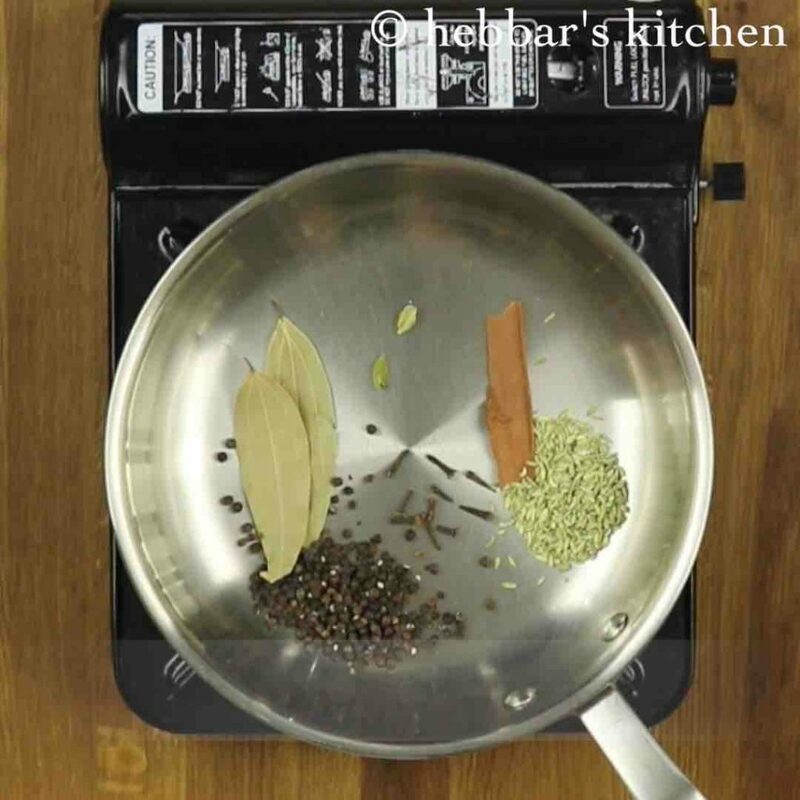 this aromatic spice mix is the heart of any pav bhaji recipe. however, most commonly in many house holds, store bought pav bhaji spice mix is preferred. perhaps because of the myth that preparing the spice mix is cumbersome and may require some complex ingredients. well most of my masala or spice mix recipes are something i have inherited through my family. but pav bhaji masala recipe is something i learn’t from the store bought spice mix. basically i decoded the recipe from ‘mtr pav bhaji spice mix‘ packet which had mentioned the ingredients listing. however, i have increased the spice level as i prefer to have a spicy pav bhaji masala. 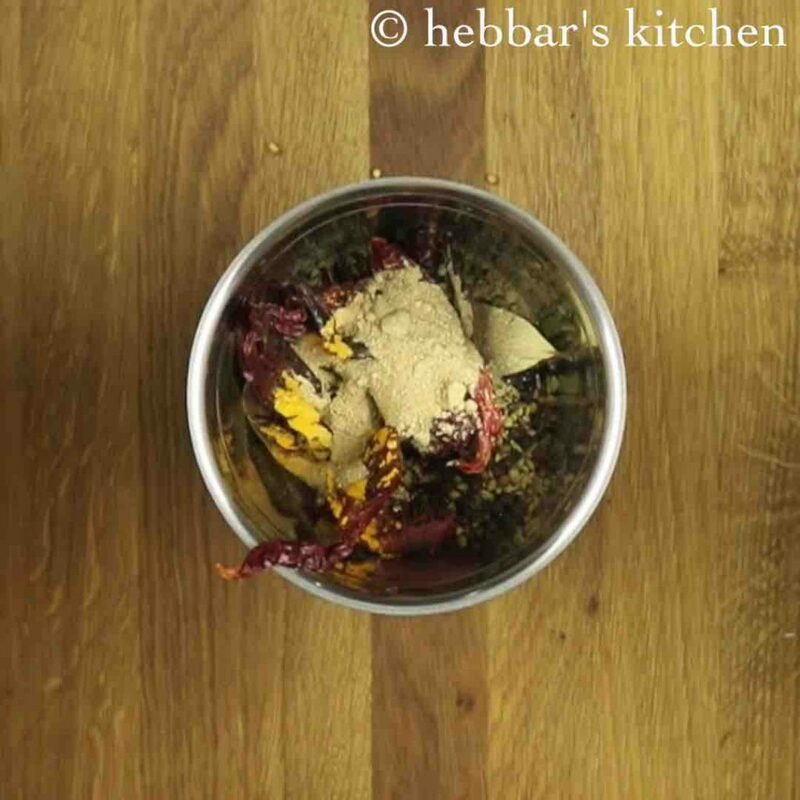 this homemade masala mix, can easily be stored for months as it has very good shelf life. more importantly, the homemade spice mix does not contain any preservative as compared to store bought spice mix. 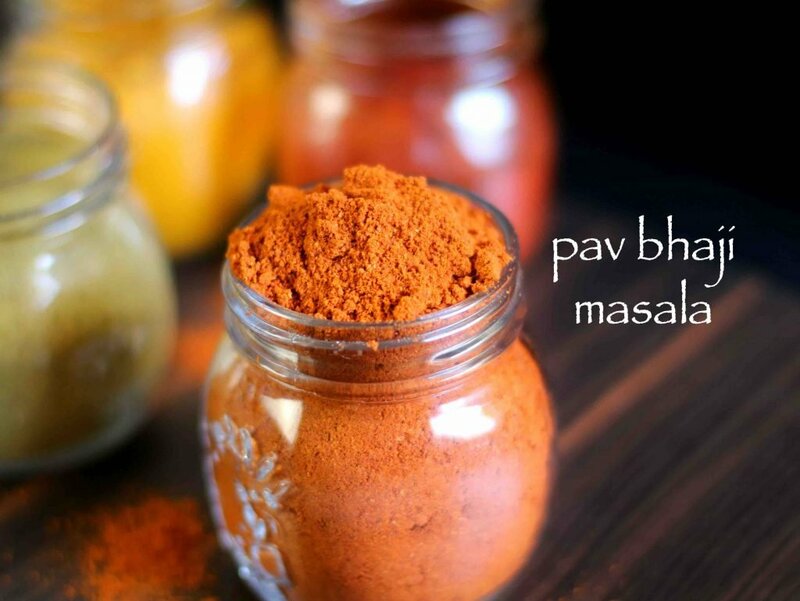 furthermore, some important tips for a perfect blend of pav bhaji spice powder recipe. 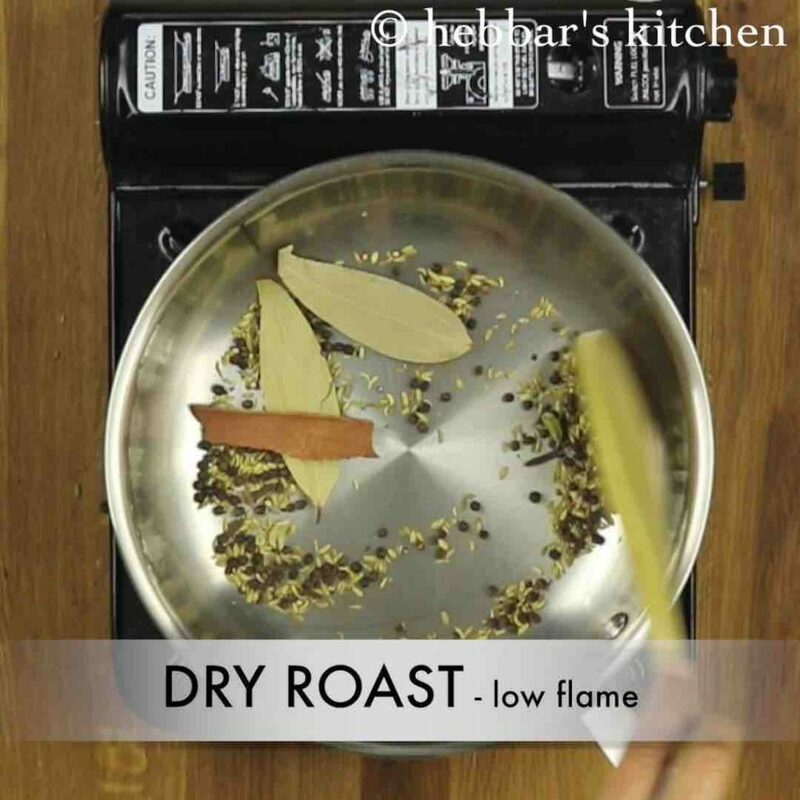 in this recipe i have dry roasted few spices individually and some spices together. however i strongly recommend to dry roast them individually if you are planning to prepare in bulk with larger quantity. secondly, always store the spice mix in a air tight container for a longer shelf life. more importantly always use dry spoon while using the spice mix. 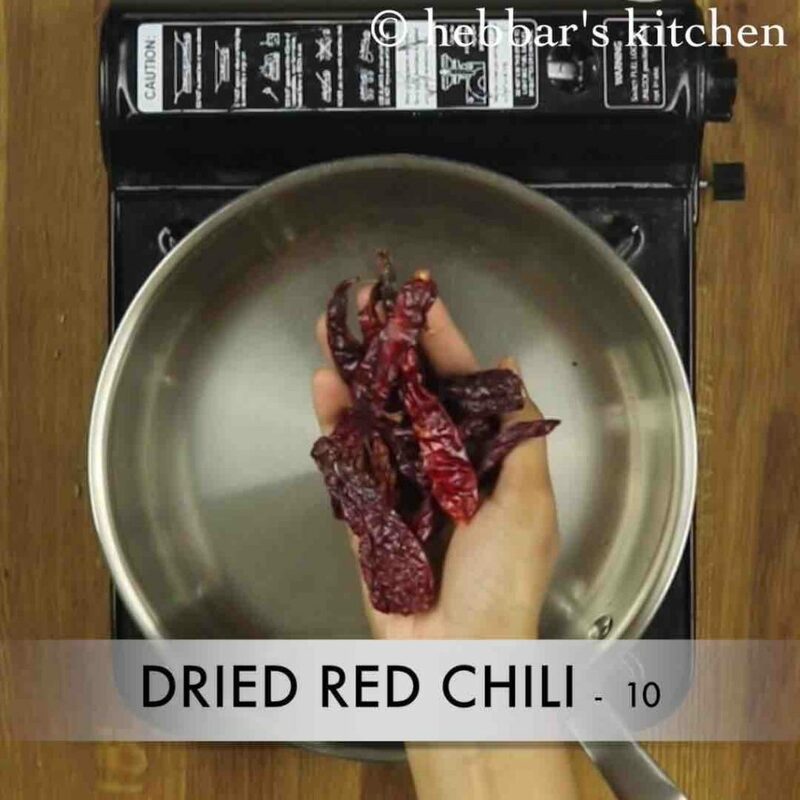 lastly, increase / decrease the quantity of red chilies as per the required spice level. 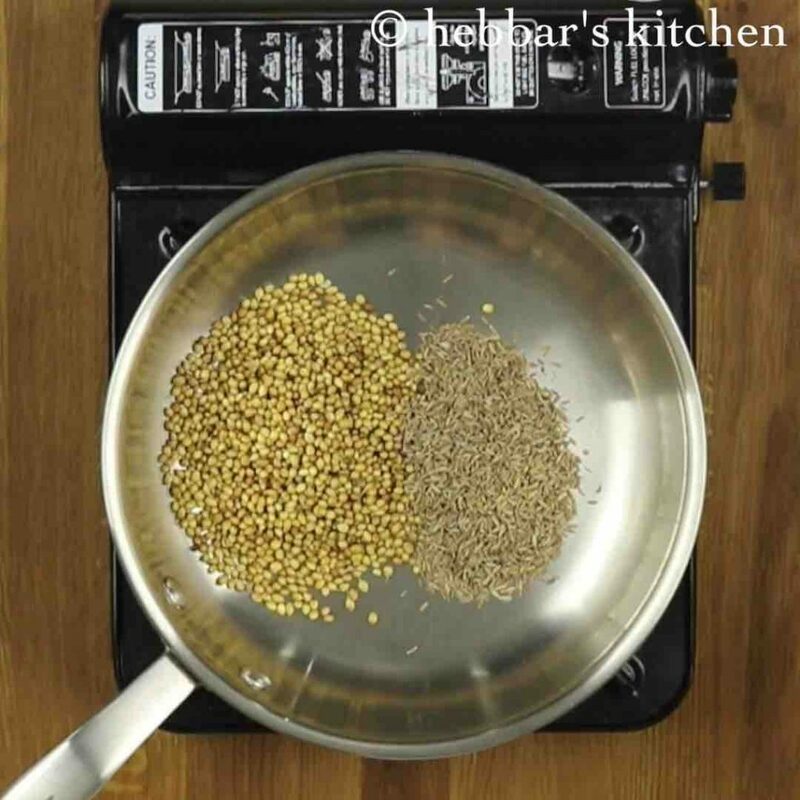 firstly, in a thick bottomed pan, take coriander seeds and cumin seeds. 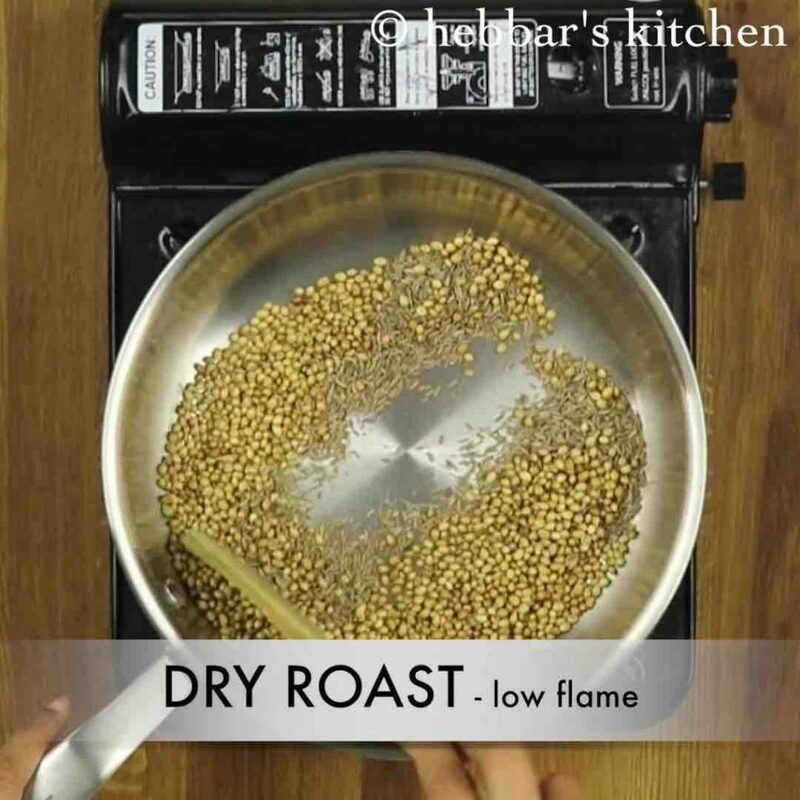 dry roast on low to medium flame till they turn aromatic. keep aside. now dry roast bay leaf, cloves, cardamom, cinnamon stick, pepper and saunf. also dry roast dried kashmiri red chili till they puff up. transfer to the small blender and allow to cool completely. furthermore, add turmeric powder and dry mango powder. finally, pav bhaji masala is ready to prepare mumbai style pav bhaji, pav bhaji in cookeror masala pav. firstly, in a thick bottomed pan, take 4 tbsp coriander seeds and 2 tbsp cumin seeds. now dry roast 2 bay leaf, 10 cloves, 2 cardamom, 2 inch cinnamon stick, 1 tbsp pepper and ¾ tbsp saunf. also dry roast 10 dried kashmiri red chili till they puff up. furthermore, add 1 tsp turmeric powder and 1 tbsp dry mango powder. finally, pav bhaji masala is ready to prepare mumbai style pav bhaji, pav bhaji in cooker or masala pav. firstly, dry roast the spices separately on low to medium flame, else they will burn and do not taste good. furthermore, adjust the amount of chili according to the spice level. additionally, store the masala in airtight container and use as required. 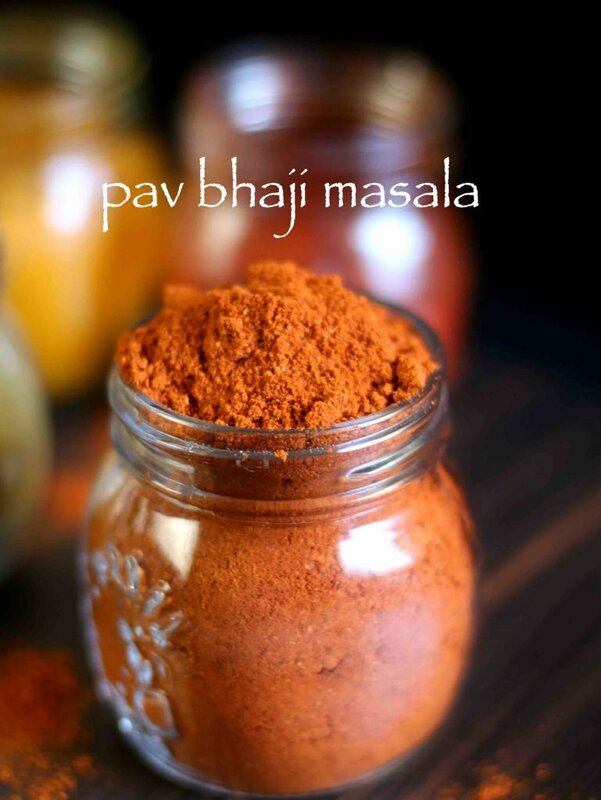 finally, pav bhaji masala taste good when used to prepare mumbai style pav bhaji, pav bhaji in cooker or masala pav. Your website had become my guidebook for all the recipes, keep up the good work. Is it ok if I skip suanf and dry mango powder in preparing the masala? yeah you can skip.. thank you.. Simply superb!! !I stopped buying from store.Great and I love your website. you are the best. If I see your recipe, I will look no further. And you make it look so simple, that one can dare to try tough stuff. 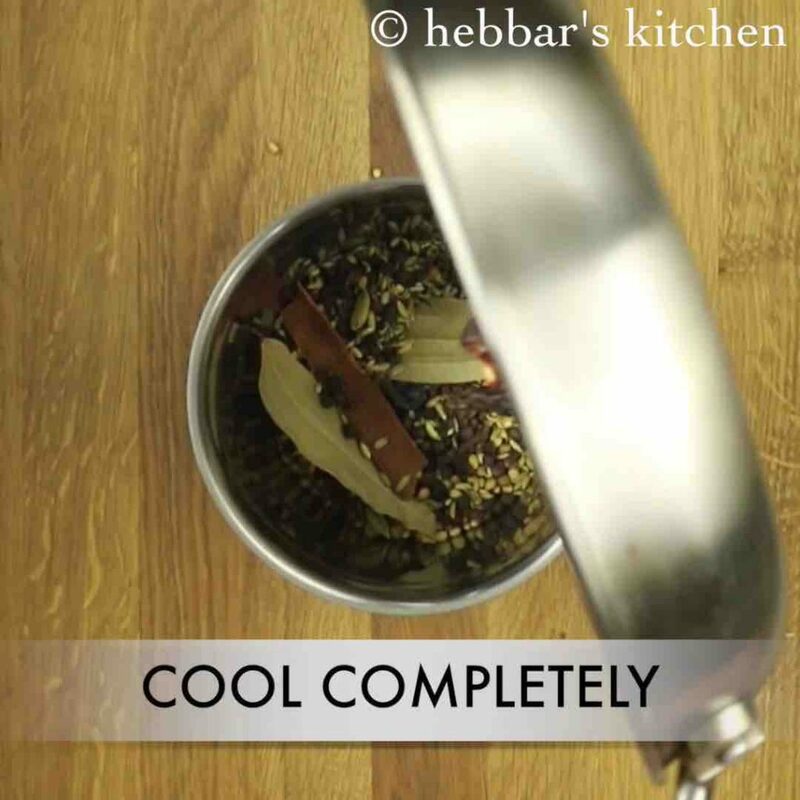 For me…Whatever comes from hebbars kitchen is the best recipe….All your recipes are just awesome. Is there any cake recipe using pressure cooker method.(without. egg). Thanks a lot Garima for those nice comments. amazing post, keep up the great content!! hi …very good collection of recipes …do you have any ideas for healthy bread spreads in hurry ?